Kissable lips are a must today. It's Valentines Day and there shall be much kissing. Here's how to achieve instantly soft, honey-delicious, beautifully kissable lips. You probably even already have the ingredients on hand. Spread a thin layer of honey on your lips. 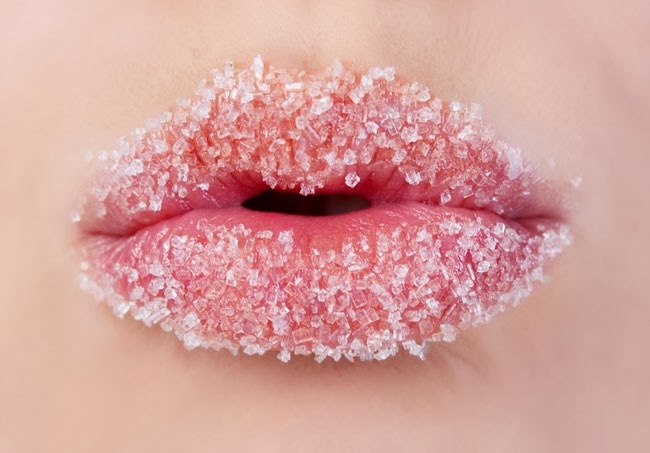 Dip your fingers into the sugar bowl and gently exfoliate your lips with your sugar-coated fingers for about 15 seconds. Finish with a thin layer of sweet almond oil, pure cocoa butter, shea butter, or a good quality lip balm. Now, go kiss your baby. PS: This post is a throwback from 2011 that has been revived in honor of the day (and for my newer readers).